Stephanie Noll, a senior lecturer in English at Texas State University in San Marcos, is part of a mostly social group of female writers in Austin who support each other in their work. Noll wanted to convert her disappointment into action. She helped mobilize the group and others into activists. Noll says she’s in this for the long haul. 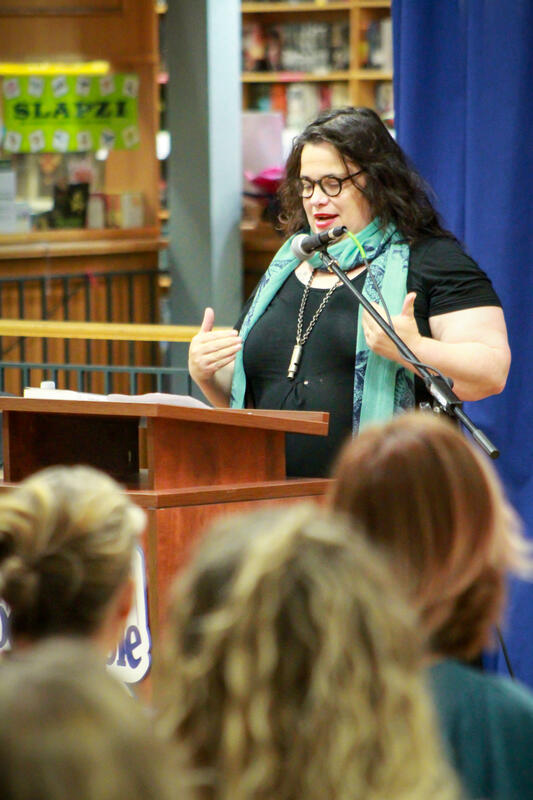 Elizabeth McCracken speaks at an event at BookPeople in November. She is among the Lit Ladies in Action who will take part in Austin Writers Resist on Sunday. Those actions include calling elected officials, signing petitions and attending rallies. 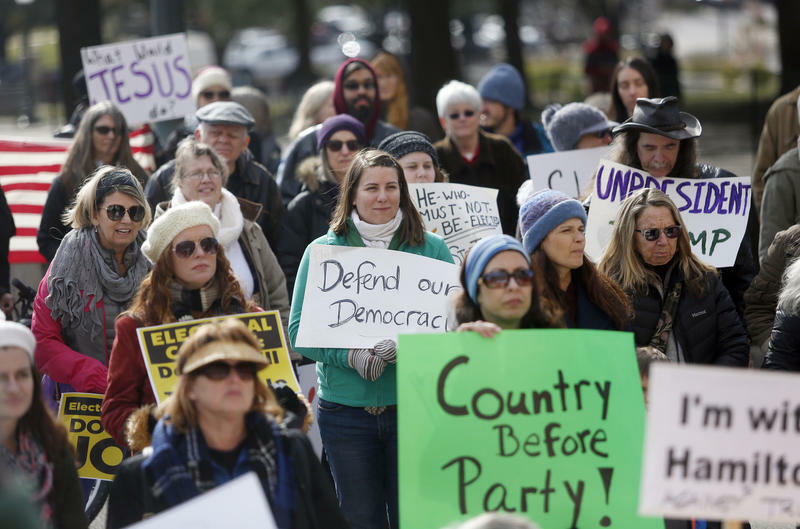 Lit Ladies in Action will also be joining Austin Writers Resist, part of a nationwide event Sunday billed as a “counter-inauguration” to renew activists’ energy in the fight for civil rights. The group depends on what it already knows and does best – writing. Poet and essayist Vive Griffith helped train the group to write op-ed pieces using information from the national Op Ed Project. Griffith, who teaches creative writing at Austin Community College, says the most important tip is to pull from existing knowledge. “There are a lot of people [in the group] who are professionals in law, in social service, in education, so we sort of claimed the things that we knew that we thought we could contribute to a large conversation,” she said. Another local writer involved with the group, Alyssa Harad, says activist-writers have a special skillset since their currency is storytelling and language, and so perhaps can find ways to speak for people who don’t have a voice. She hopes to inspire other writers to join her in picking up the pace of their involvement. Harad is on the front line now. She helped organize the Austin Writers Resist event at BookPeople on Sunday, ahead of the Jan. 20 inauguration. Editor's note: This piece originally aired Dec. 30, 2016. 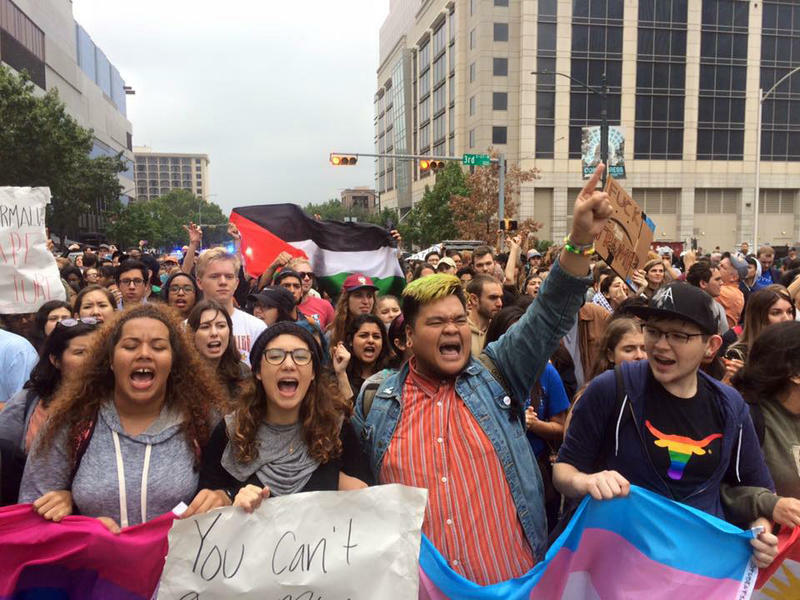 Hundreds of Austinites have gathered to protest the election of Donald Trump.